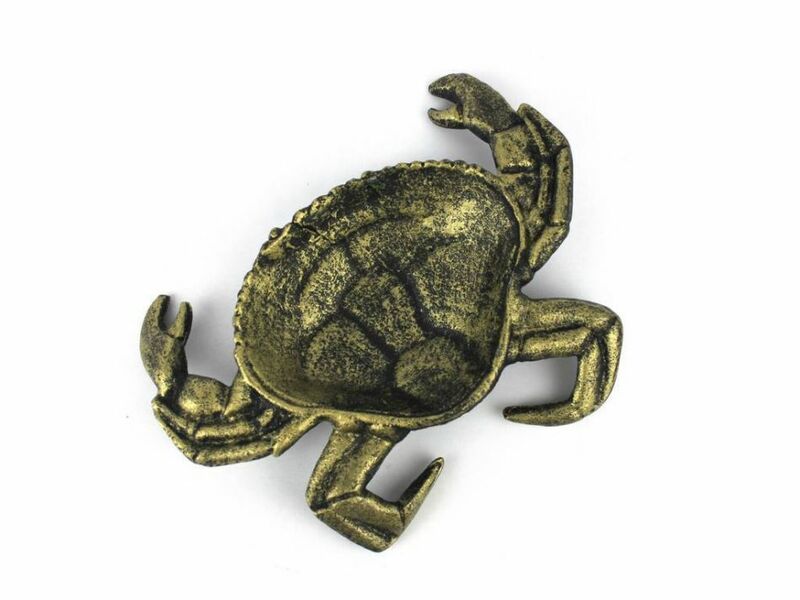 Antique Gold Cast Iron Crab Decorative Bowl 7"
Cast Iron Letter H Alphabet Wall Hook 6"
Seaworn Blue Cast Iron Starfish Decorative Plate 6.5"
Antique Seaworn Bronze Cast Iron Seahorse Trivet 6"
Antique Silver Cast Iron Crab Decorative Bowl 7"
Rustic Silver Cast Iron Rooster Shaped Trivet 8"
Cast Iron Decorative Shell Sand Dollar Starfish Towel Holder 8"
Whitewashed Cast Iron Sea Turtle Paper Towel Holder 13"
Seaworn Blue Cast Iron Palm Tree Extra Toilet Paper Stand 17"
Whitewashed Cast Iron Sailboat Bath Towel Holder 28"
This beach themed Antique Gold Cast Iron Crab Decorative Bowl 7" is perfect for any beach inspired home. 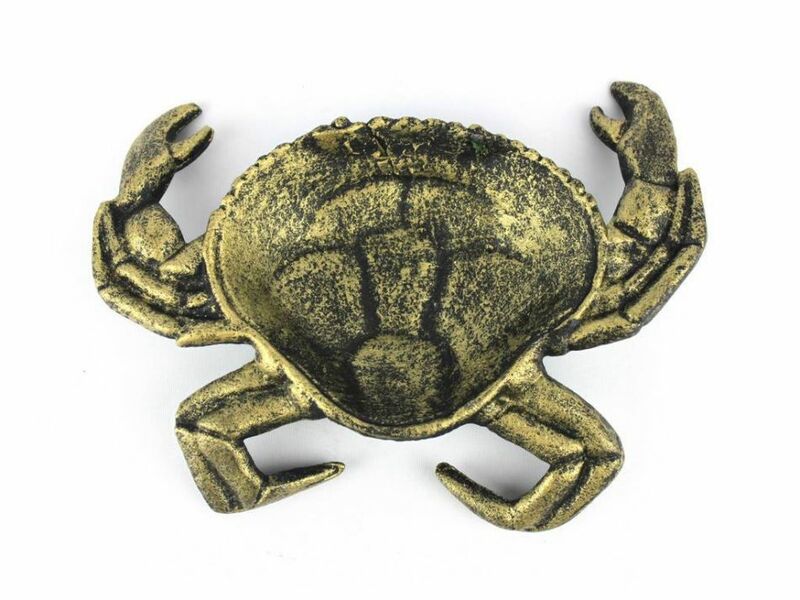 This decorative cast iron crab bowl adds style and is a great centerpiece for dining and entertaining. 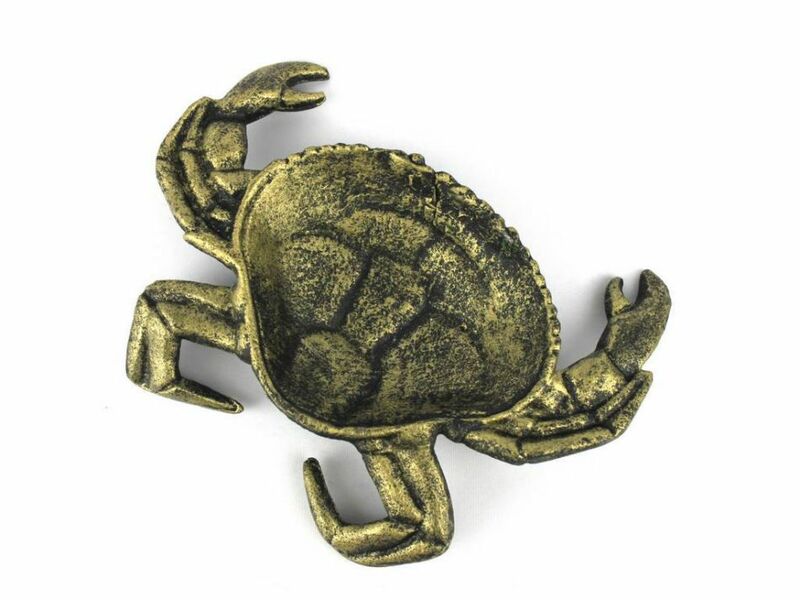 This decorative crab bowl can be a great gift for any crab enthusiast in your life.